Change Coming to Rural Electric Cooperative Governance – Finally! New Orleans Cooperatives are something that many of us hold up as models of how things might work in a better – and different – world than the one where we now live and work. Rural electric cooperatives display their democratic and membership principles as part of the cooperative movement since the 1930s on their walls, websites, bylaws, and membership reports routinely. As reports issued by ACORN International and the Labor Neighbor Research & Training Center on RECs in the Southern states in recent years have underlined, the actual practice has gone far afield, especially when it comes to governance and democratic practice, self-dealing on pay and benefits, and inclusion of African-American, Latino, and women representation on their boards. One of the highlights of 2018 in this struggle has been the fact that reporters increasingly in South Carolina and Louisiana have also picked up the trail in some cases using the reports we had assembled as well. Key issues have been payments to board members as we stressed, but also junkets accompanied by spouses to various logrolling conferences attended by many as perks, which we had not underlined, but certainly where coop members are also footing the bill in their electric rates. 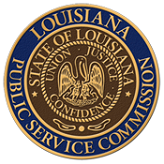 A recent report on coming agreements between the cooperative board associations and the Louisiana Public Service Commission (PSC) indicate that the tide may be finally turning in our direction, at least on some of these issues. Critically, the early indications indicate that the PSC will mandate term limits for directors, which will be a huge step in the right direction of allowing members to take back control from some of these folks who have been holding on for decades. There will also finally be limits on so-called “reimbursements” for board attendance. As our reports indicated the evidence seems to point to manager’s salaries rising for many southern cooperatives in almost a direct ratio to also increasing the pay of directors, as recorded in their IRS 990 filings as 501c3 nonprofit organizations. These elected positions are supposed to be voluntary, but have become key income sources for many directors, encouraging them to hold on to the posts for years and years. This PSC action could cap that off. An issue still unresolved, amazingly, is health insurance, which is a surprising and unknown benefit for volunteer board members, but is all part of this mutual backscratching and log-rolling, and a very pricey benefit at that. In some cases, the PSC found that family members were also being covered! All national cooperative recommendations abhor this practice, but reportedly at the expense of the cooperative members, this may be unresolved in Louisiana – and certainly elsewhere – but has to go. None of these reforms will solve the fundamental issues, but this will be a sea change for many cooperatives, and should be a warning that change is coming, ready or not, to the rest of them. Now, if we can just hold the Louisiana PSC’s feet to the fire, and get other states to get on board, we will really see some change come as members are enabled to seize back the powers that should have always been theirs.